I had a great customer experience at First Detail Studio. I first contacted Tommy in October and we have been dealing back and forth regarding the type of protection, trim color and other services for my Tesla Model 3 that was en route. He was very responsive and helpful in providing me with enough information on the options available. 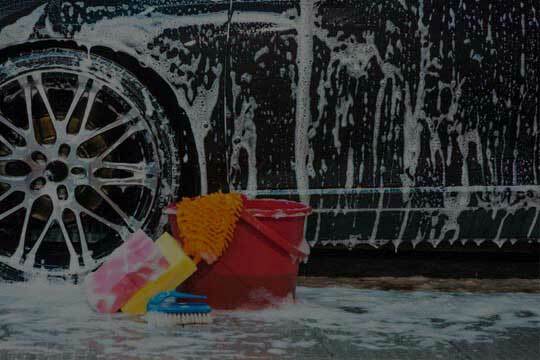 Fast forward to the car arriving, Tommy was able to receive the vehicle directly at their shop, during the holidays so that they could get a head start on the job. During the week long job, Tommy kept me posted on it’s progress and also sent me pictures to show me the results. Upon pick up of the vehicle, I was very pleased. My expectations were exceeded and I am a very happy customer. I definitely recommend this shop to anyone looking to protect their vehicle. Thanks to Tommy and team for the beautiful work! 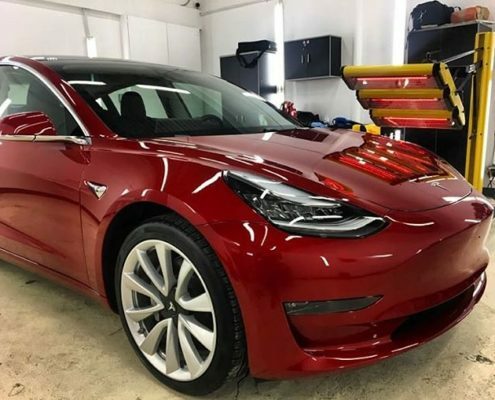 2019 Tesla Model 3 received the most advanced paint protection services by First Detailing Studio’s specialists in Edmonton AB. 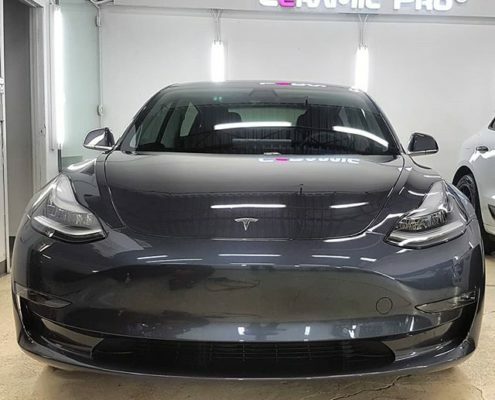 This Tesla Model 3 is a brand new vehicle. 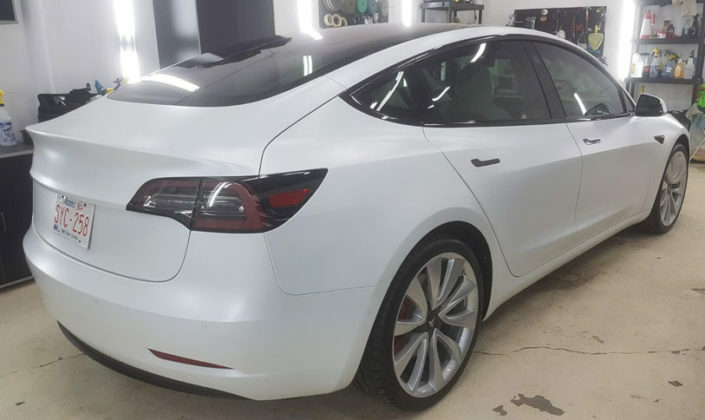 It was delivered from Tesla dealership in Calgary straight to our detailing shop in Edmonton. The owner of this Tesla saw his vehicle for the first time in our shop. 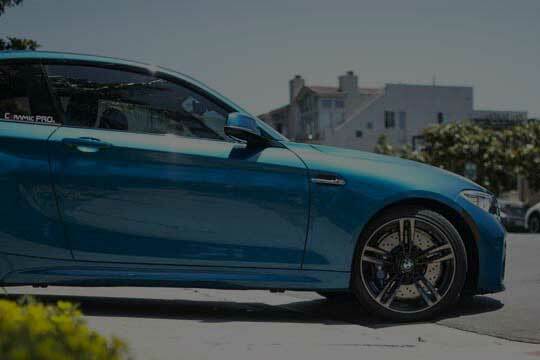 The goal was to protect vehicle’s paint and personalize its appearance. 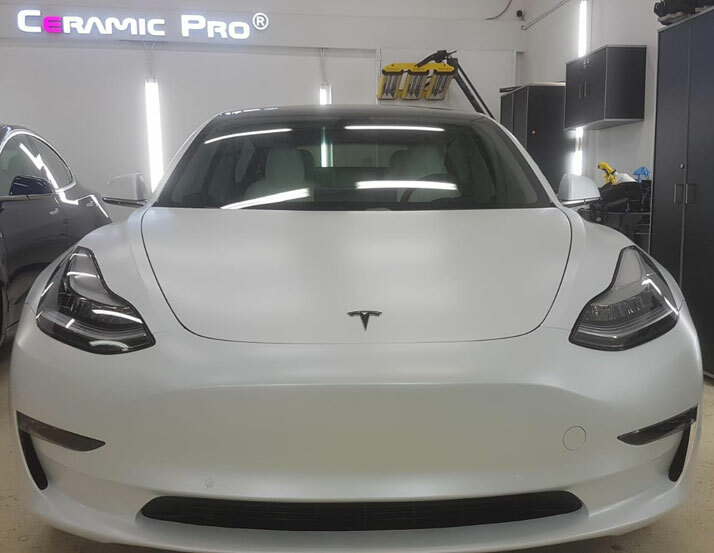 Even though we had to deal with a brand new vehicle, it still required some paint correction that we always do for brand new vehicles. 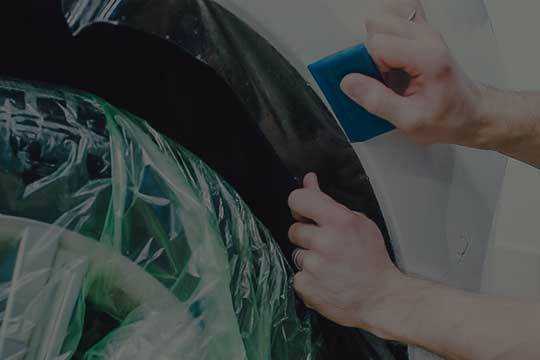 Contact us to learn more about new car paint correction in Edmonton, AB. 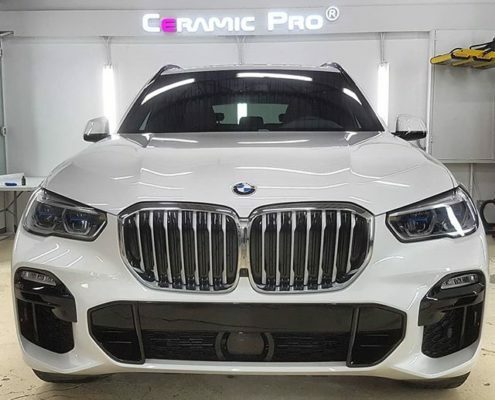 Then First Detailing Studio specialists installed XPEL Stealth Matte paint protection film, performed removing of chrome and wrapping of an interior trim. 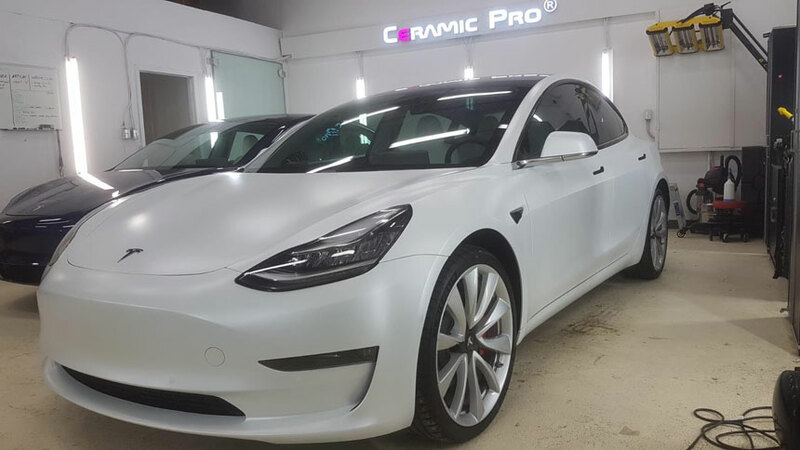 At the end we finished our protective package with Ceramic Pro PPF/VINYL which is SEMA award winner Ceramic coating designed to protect films. 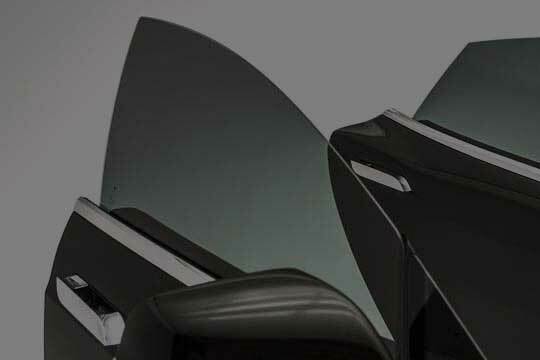 We also installed 35% XPEL Prime Ceramic window tinting film on all windows. The result was awesome. 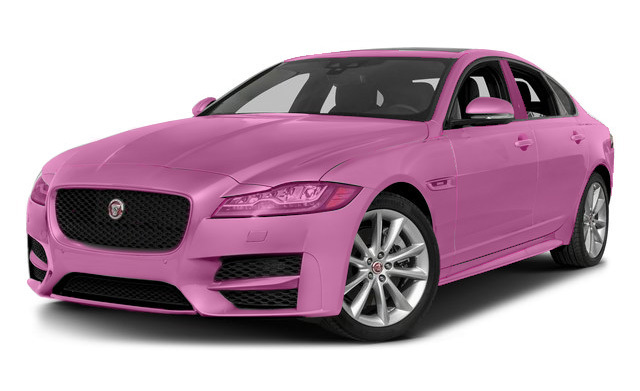 We were able to protect the original paintwork on this vehicle and gave it “one of a kind” look. By protecting your Tesla with XPEL Stealth, Ceramic Pro and custom choice of vinyl accents you are not only preserving your investment but also making it look great and unusual.